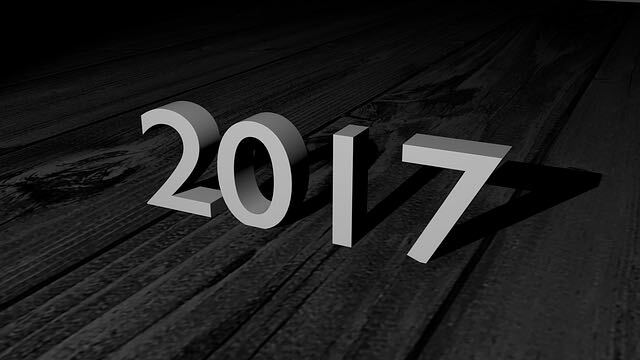 As we say "good riddance" to 2016, the prospects of 2017 being much better may not appear to be particularly good. Is there anything we can do to make this year better? Broadly, I think we need to make sure that we are learning something useful from our experiences and that what we are learning corresponds to reality. If we learn the right lessons - truly useful lessons - we may actually benefit from some of what we didn't like about 2016. On the other hand, learning the wrong lessons poses a risk to much of what we claim to value (e.g., reason, freethought). Too vague, I know. So let's get specific. In the short term, I recommend that secular Americans expand our support for secular activism. Even if President-elect Donald Trump himself is an atheist, a possibility which does not strike me as particularly far-fetched, his administration contains some Christian extremists who are likely to push their version of evangelical fundamentalist Christianity. Thus, I think it makes sense to anticipate that secularism is increasingly likely to come under attack in a Trump administration. Now is the time to support the organizations who are good at fighting these fights on our behalf. In the medium term, I think we need to do some serious self-examination aimed at identifying the problems that led us to the point where we nominated Trump and Clinton. Most of us complained about the poor quality of both candidates but seemed powerless to do anything about it. How did both of the two major political parties stumble so badly? What sort of reforms could prevent this from happening in the future? And as we seek to understand Trump's rise to power, I think we need to recognize that a number of factors contributed and be wary of jumping on overly simplistic explanations. It is becoming increasingly clear that the left must change in some major ways if there is going to be a viable left moving forward. Political correctness, identity politics, and rabid social justice warriorism are not sustainable. Since it does not look like many on the left are willing to consider abandoning them yet, we need to make it clear that they must do so if they hope to be competitive in future elections. In the long term, I think we need to come to terms with the high price we are all paying for our political tribalism, identity politics, efforts to restrict the free expression of ideas, and the resulting polarization. This is not going to be easy, as these things seem to be part of our make-up. As much as we complain about how our political system is broken and blame our politicians for being unable to accomplish much of anything, we are hesitant to acknowledge our own role in this dysfunction. We need to set aside the futile efforts to change others into ideological clones of ourselves and focus on changing ourselves into more reasonable adults. If we can make a commitment to doing that, we will have some reason for optimism in 2017 and beyond.